**The links in this post are affiliate links and I will receive a small commission if you make a purchase after clicking on my link. The Little Passports blog is sharing 30 Days of Science with some very exciting experiments! Be sure to read the bottom of the blog post – Little Passports has something brewing in the laboratory! Grab your explorer and go on a dinosaur excavating adventure. 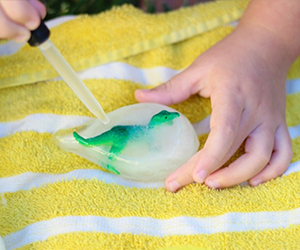 Once you have released your dinosaurs from their icy encasements, I am certain your kids will want to keep experimenting! 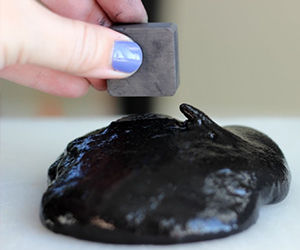 Why not make magnetic putty with your kids or design a Rainforest garden in a jar . These hands-on experiments will not disappoint your young scientists! 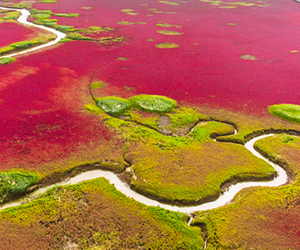 When your explorers run out of energy, read to them about one of the scientific wonders of the world: Panjin Red Beach in China. They will learn the biological science behind one of the most beautiful beaches in the world! Craving more science experiments? Visit the Little Passports blog . And be sure to follow ChinUpMom for some more shared science experiments! This entry was posted in Kid's Corner, Mommy Blog and tagged 30 days of science, china, dinosaur excavation, Dinosaurs, experiments, explore, family, fun, learn, little passports, magnetic putty, panjin red beach, science. Stay at home mom to a little boy. Mommy to an adopted fur baby. Blogging about our crazy life, reviews and parenting! Hey there! 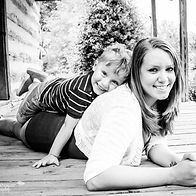 I'm Amber a stay at home mommy that just wants to share my crazy life, reviews & everything else with you!